Located in Knoxville, Threds, Inc. has been delivering award-winning services to both start-ups and industry leaders for more than 20 years. Their services include custom screen printing, embroidery, e-commerce & retail solutions, promotional products and custom design. Their portfolio is expansive including a wide variety of global, national and local brands with an intentional focus on Knoxville and surrounding companies like Scripps Networks Interactive, Knoxville Chamber, Visit Knoxville, Regal Entertainment Group, Legend Fitness, Sugarlands Distilling Co., Sea Ray, Copper Cellar Family of Restaurants, Smoky Mountain Harley Davidson, University of Tennessee, Blackberry Farm, Cumulus, and so many others. Threds mission to Expand Your Brand Reach is achieved through bringing their clients’ visions to life, providing products with the perfect look and feel to elevate their brand. They take their passion of custom design and branded merchandise to partner with companies of all sizes to ensure their brand messaging is achieved through perfectly crafted, high-quality goods. Think of Threds as an extension of your marketing team, the company to call when it comes to Expanding Your Brand Reach. The Threds team is fun, creative, high-energy, professional, experienced and is ready to help you take your ideas out of your head and put them in your hands. 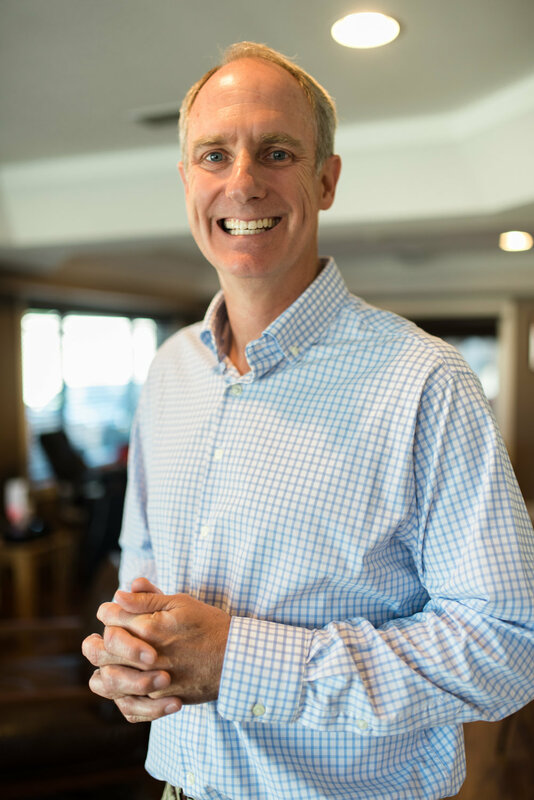 Just a couple students of the University of Tennessee, Keith Phillips and Kelby Shymlock founded Threds, Inc. back in August of 1994, and they've learned a lot about building a business and positioning a brand ever since. Threds originally started as a small vintage jeans shop in their garage that sold “vintage” Levi’s jeans and during its formative years, the two bartended at a local Knoxville staple, Calhoun’s on the River, who they credit for the lessons they’ve utilized in running their own business. It was in 1995 that Keith & Kelby purchased $1,000 worth of screen printing equipment and began learning the art of screen printing. Within a few years, Threds expanded into a boutique shop, selling everything from men’s and women’s apparel to candles, incense and jewelry. By 1996, custom screen printing had become their main focus. 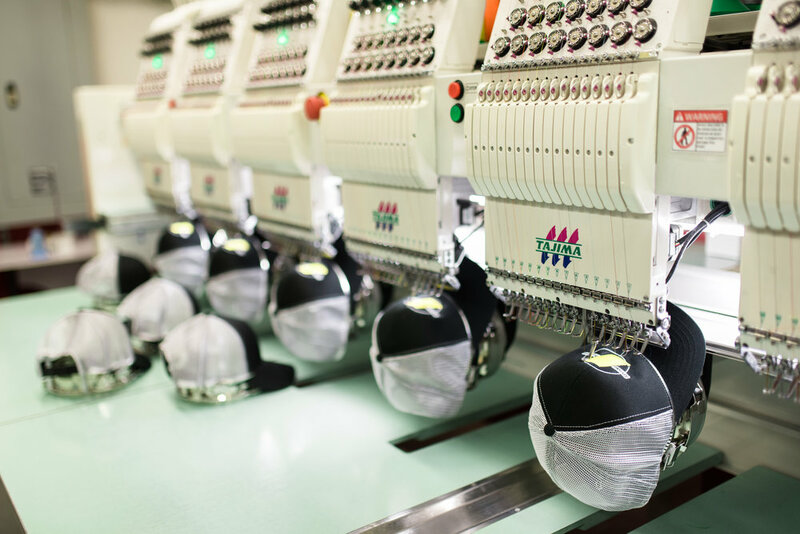 Only a short year later, as they continued to increase their capabilities and as their clients became more diverse, they added embroidery and promotional products to their portfolio of services. Then in 2000, Threds acquired their largest competitor that pushed sales to new heights. 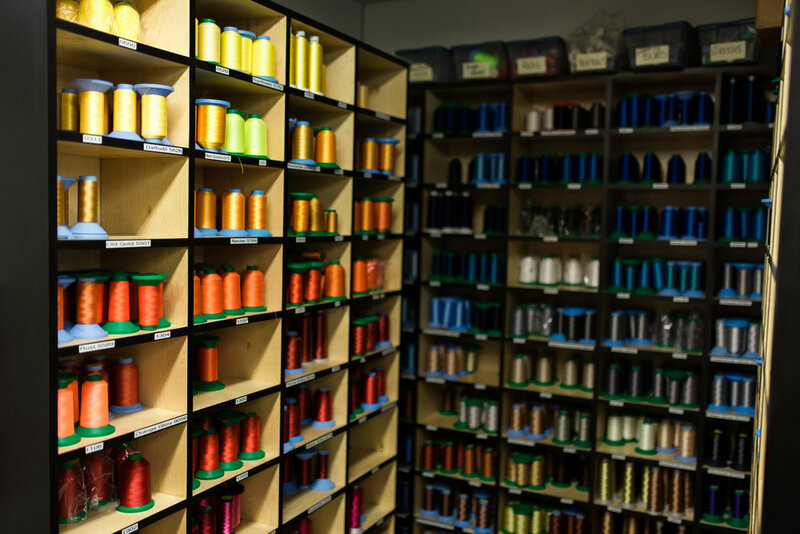 In 2002 fulfillment became an integral part of their business and in addition to warehousing and customer service, they began creating retail-based websites for select clients. 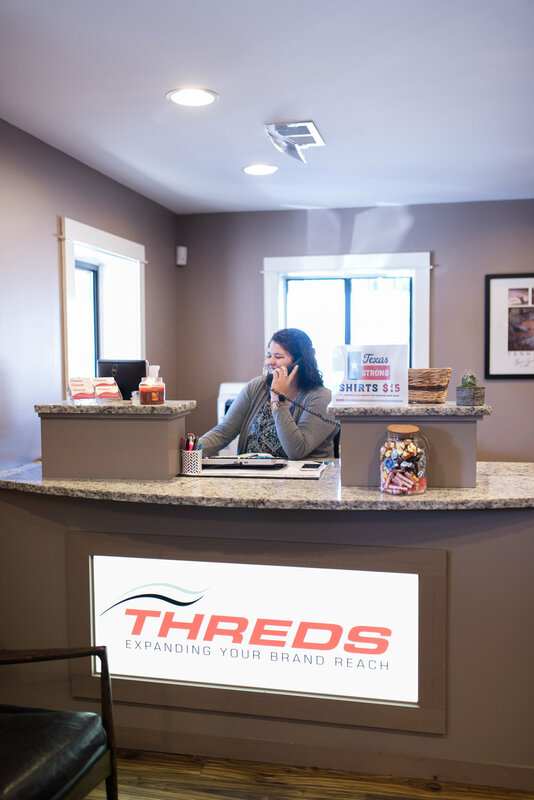 Threds had outgrown its location and in 2005 they moved to the facility they are located at today. Due to the economic climate, 2009 proved to be the most challenging for Keith and Kelby, but it is because of their creativity, competitive drive, consistent determination and commitment to finding solutions that they weathered the storm and learned how to run a much leaner business. 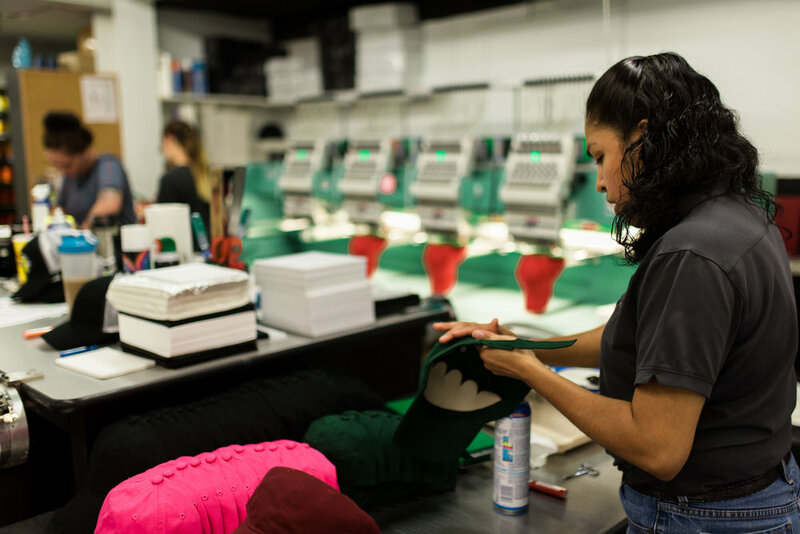 To date, Threds has printed millions of t-shirts, shipped packages to over 70 countries and has grown into a 30,000 square-foot facility, employing more than 100 people, that provides a plethora of apparel and promotional products and services. Keith and Kelby live by the motto “If it is worth doing, it is worth overdoing." 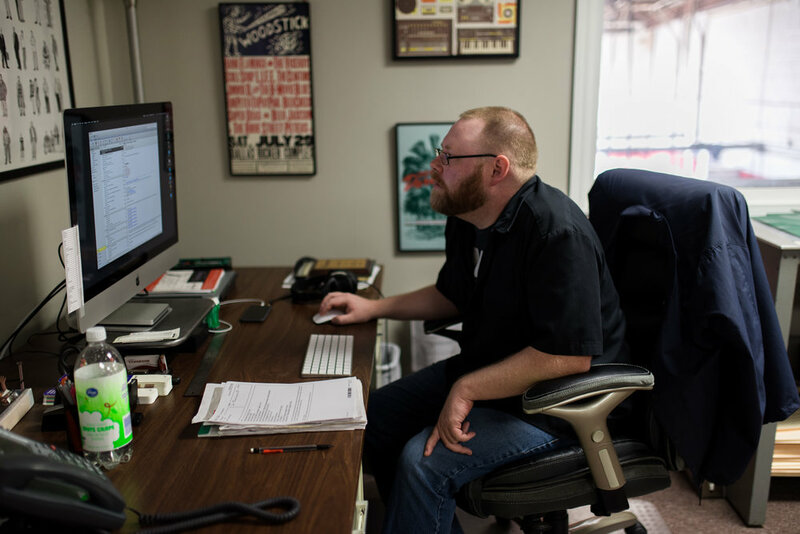 Will Evans, Threds, Inc.'s Senior Director of Creative Strategy, has been under the influence of design since an early age. He spent hours upon hours staring at his parents’ large vinyl collection, soaking in old album cover layouts and liner notes. He would similarly flip through every page of his dad’s giant library of magazines like Popular Mechanics, Guitar Player, Mad, and Hot Rod, tracing cars, poring over the vintage ads, and drawing his own cartoons. While in high school, Will attended a post-secondary school taking a graphic arts class, and it was here that he discovered he wanted to be an artist and learned that art could be an actual career. He studied all aspects of graphic arts from design and pre-press to printing and finishing and fell in love with printmaking and design, particularly enjoying the process, the hands-on, tactile aspect of it, and having something tangible at the end of the day confirming his hard work. After graduating high school Will moved to Nashville to attend Watkins College of Art where he continued to immerse himself in the process and learn all he could about design, discovering heroes like Herb Lubalin, Saul Bass & Paul Rand. After college Will moved back to Knoxville and began working for Threds, Inc. where he was first hired as a screen printer and quickly moved into the art department, and a few years later became the art director. At the same time Will also began screen printing concert posters which have been featured in several publications, including Communication Arts & Print Magazine. Over the last 15 years at Threds, Inc. Will has been designing for everyone from huge international companies, small local business, music festivals and non-profits, with logos and art featured in design publications and earning industry awards from SGIA. His work can be viewed at threds.com, houseofshroom.com and across the back of nearly every other person you pass on the street in Knoxville.